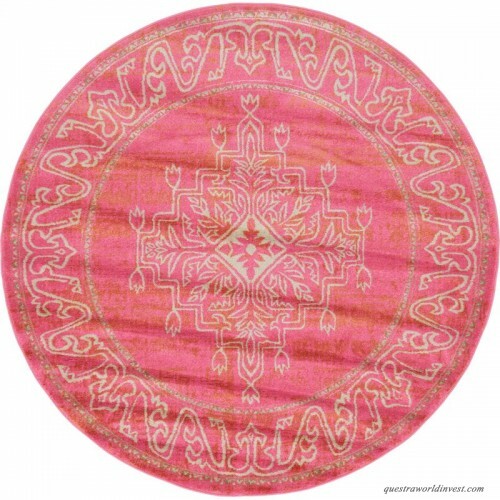 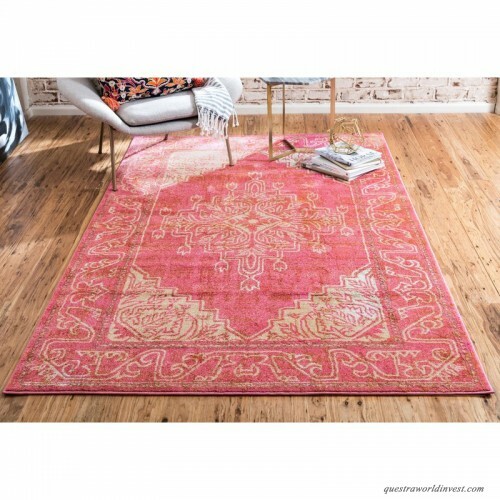 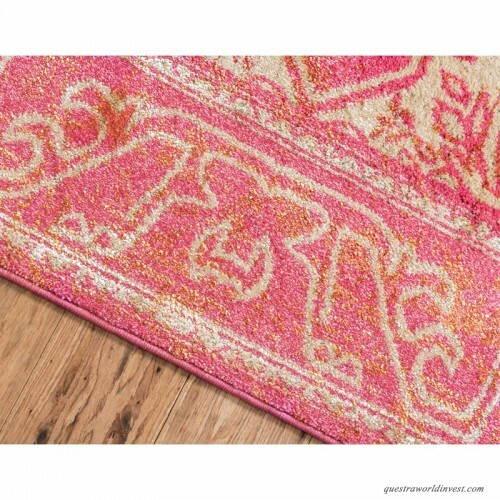 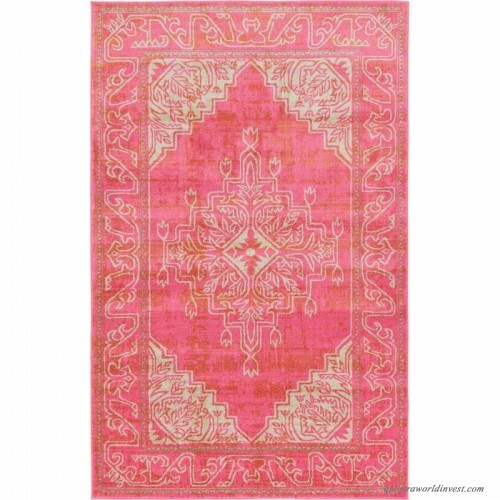 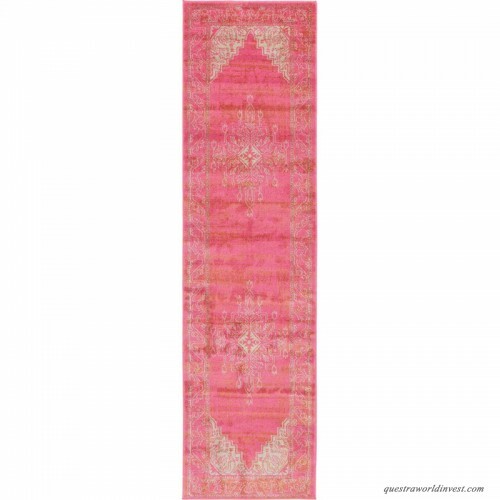 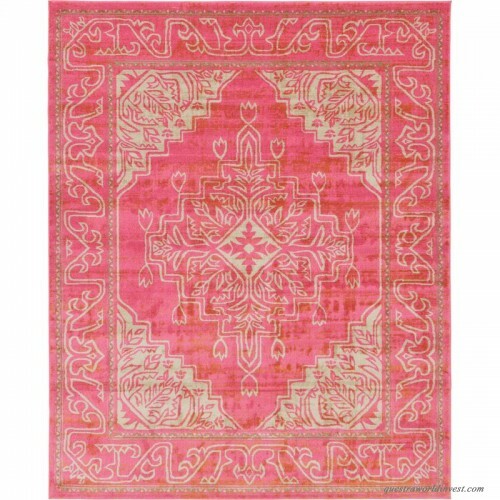 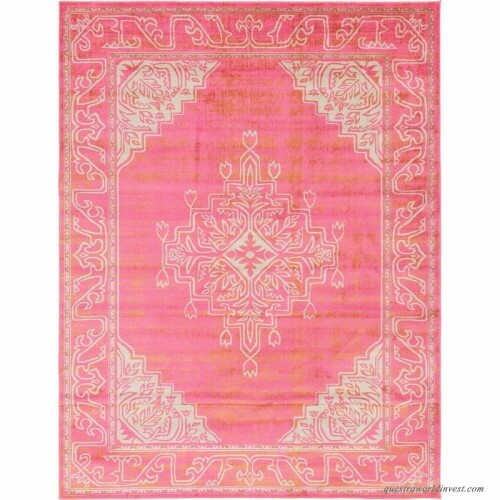 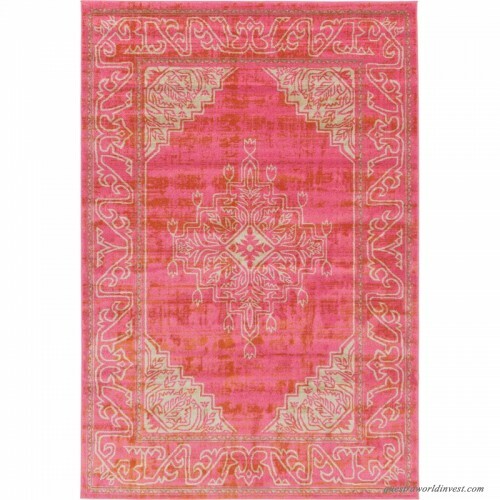 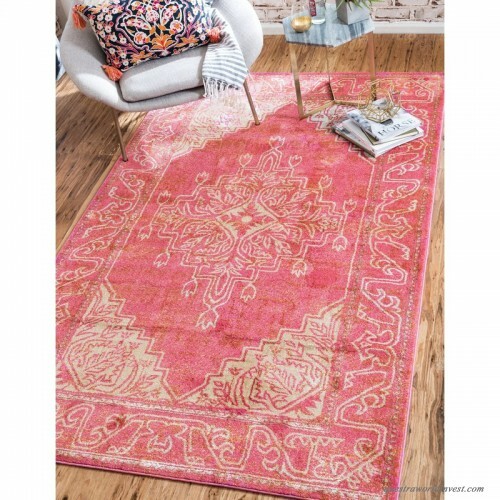 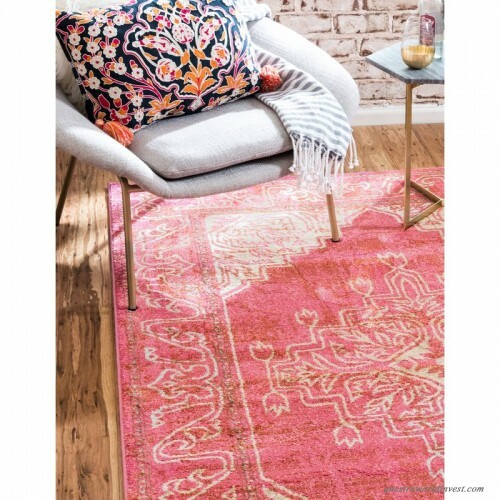 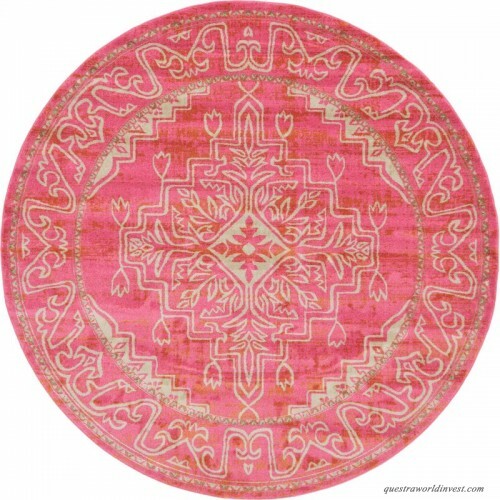 Inspired by thrifted finds and Eastern designs, this pink area rug lends a stylish foundation for your space with its vintage oriental motif. Made in Turkey, this area rug is machine woven of stain- and fade-resistant polypropylene in a medium 0.5" pile – perfect for rolling out in fashionable living rooms or dining spaces prone to the occasional spills and stains. 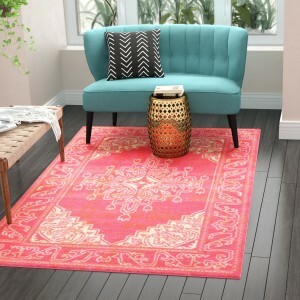 Finished with a latex backing, this area rug performs best when paired with a rug pad to prevent shifting and sliding.